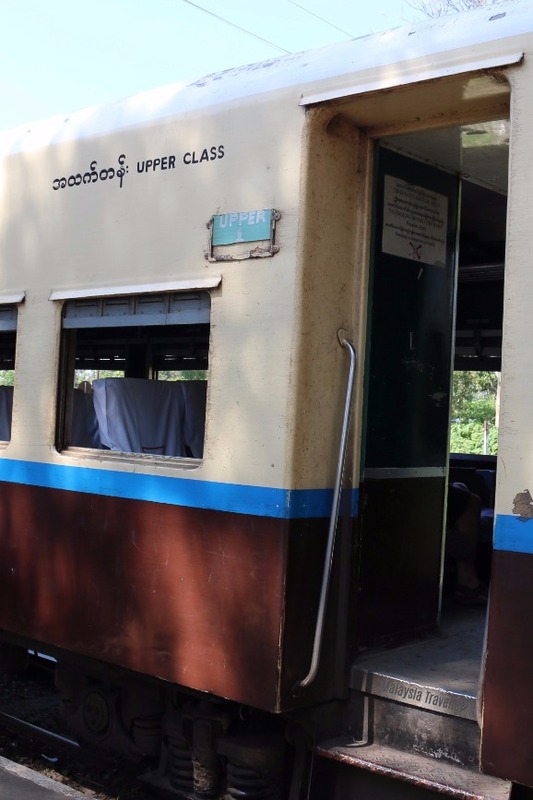 Taking the Mandalay to Pyin Oo Lwin Train is a leisurely way to enjoy the scenery and interact with locals travelling between these two Burmese towns. Patience and a liking for early morning starts are required. Anyone expecting Mandalay railway station to be an attractive colonial design will be disappointed. It is a fairly drab eight storey modern concrete block topped with a golden Burmese pavilion. Most of the building above the station concourse is occupied by the Marvel Hotel. 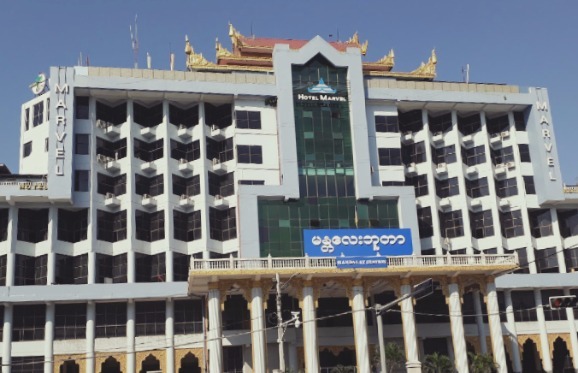 The 42 mile trip from Mandalay to Pyin Oo Lwin takes around 4 hours, provided there are no delays. 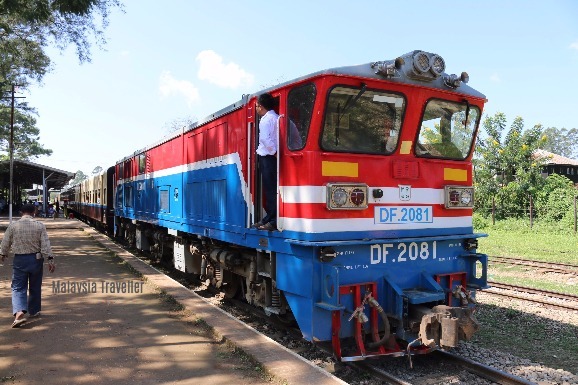 The train (131 UP) departs Mandalay at 4am and arrives at Pyin Oo Lwin around 8am. There is only one train per day in each direction. Delays are frequent. 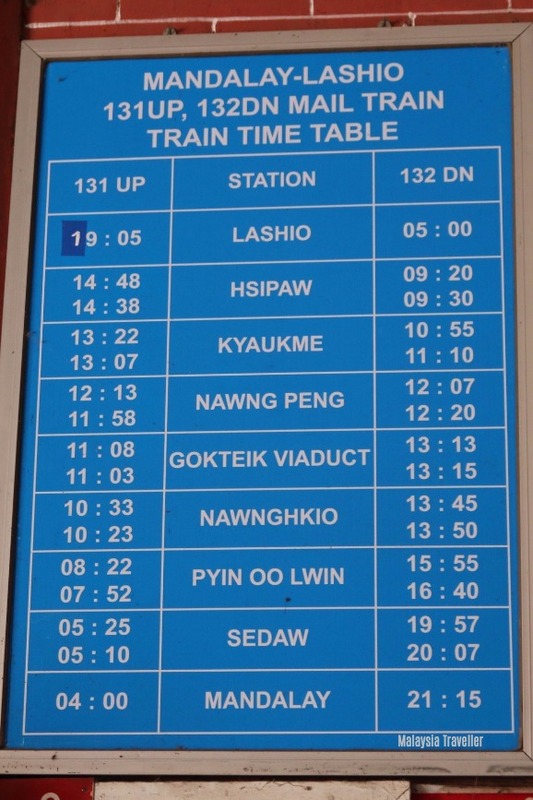 So frequent that they even have a special pre-painted blackboard at Pyin Oo Lwin to show the guesstimated arrival time. On this day the train was 2 1/2 hours late. Mandalay is about 250 feet above sea level and Pyin Oo Lwin is 3,506 feet above sea level so the train has to climb around 3,250 feet. It does this by means of a number of sharp hairpins where the train has to stop and reverse up the next section. Fares are very cheap. 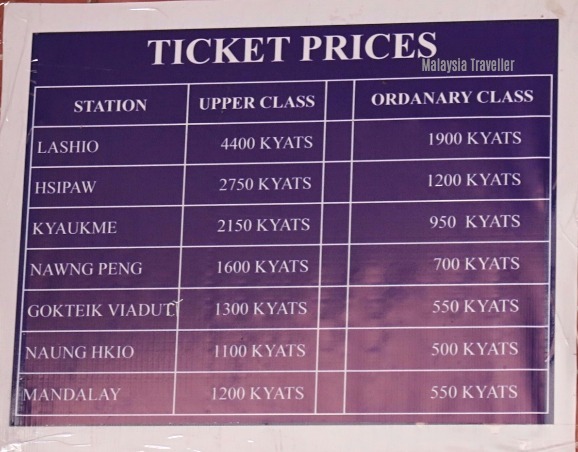 As at Oct 2017 the Ordinary Class fare from Mandalay to Pyin Oo Lwin is 550 Kyats or 40 US cents. If you want to splash out and travel Upper Class it will set you back 1200 Kyats or 88 US cents. This is by far the cheapest way to travel between the two towns. 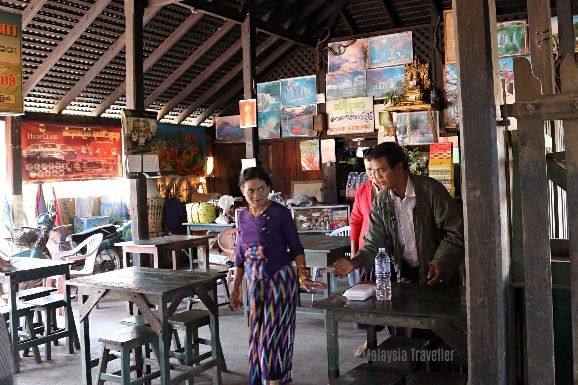 As a comparison, a shared taxi will cost 5,500 Kyats per person or around 18,500 - 22,500 Kyats for a private taxi. Upper Class has upholstered seats while Ordinary Class makes do with wooden seats. The locomotive is a diesel made by the CRRC Dalian Locomotive & Rolling Stock, China. This video gives an idea of what to expect on the journey. 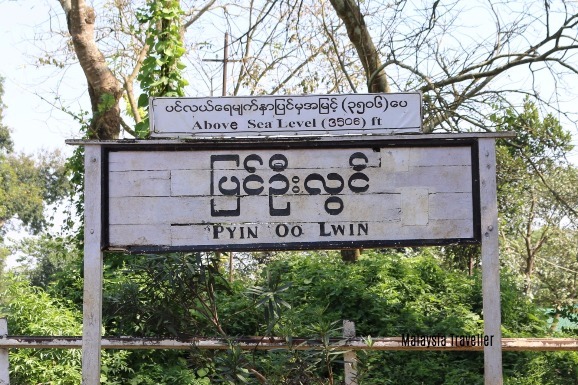 Pyin Oo Lwin railway station has a nostalgic charm. 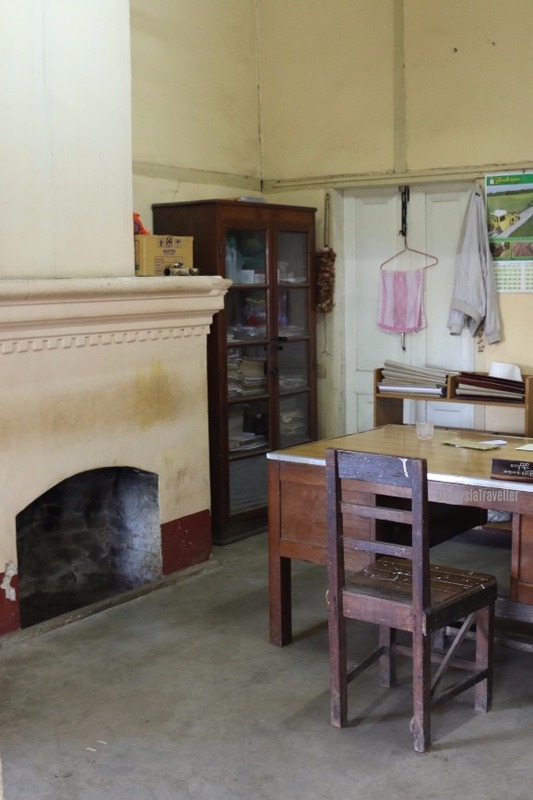 The station master’s office and waiting room have fireplaces to ward off those chilly mornings. There is a cosy restaurant at the station where you can kill those hours of delay over a cup of coffee. 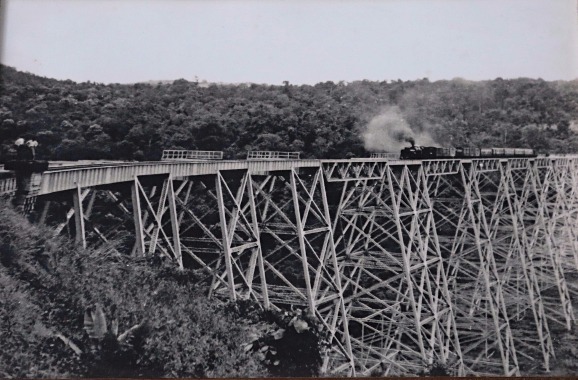 Many tourists continue the train beyond Pyin Oo Lwin to Hsipaw or Lashio or just a round trip as far as the spectacular Gokteik Viaduct which, with a height of 102 metres and a length of 689 metres, was the largest railway trestle bridge in the world when it was completed in 1901. 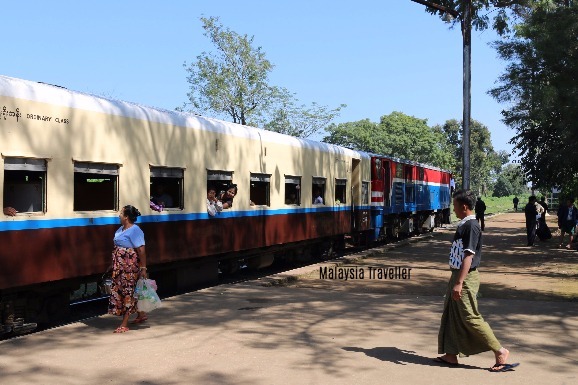 For more information on travelling by train in Myanmar (and most other countries) I recommend The Man in Seat 61 website.